Plenty of spring cleaning is going on in the community (and I need to do some at my house, too). Melton Lake Cleanup. Volunteers are needed on Saturday, March 23 (rain date March 30) to pick up trash on the shores of Melton Lake. TVA has lowered the lake level for the occasion. Oak Ridge Breakfast Rotary, Greenways Oak Ridge, and Keep Anderson County Beautiful are partnering for the event. 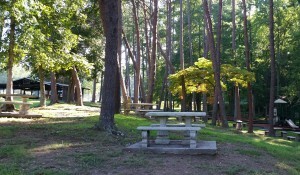 Assemble at the new pavilion in Melton Lake Park (Oak Ridge) at 9:00 AM, wear sturdy shoes, and bring work gloves. The City is supplying the trash bags. 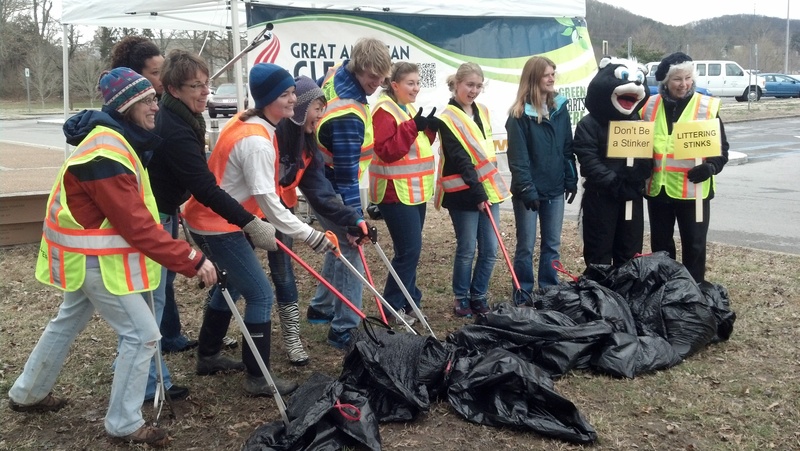 Log your litter collection activity for the Great American Cleanup. 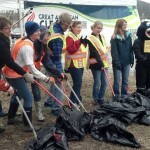 The months of March through May are the Keep America Beautiful Great American Cleanup. Citizens who pick up litter and trash around the community or on the lakefront are urged to go to the Keep Anderson County Beautiful website to log your hours of effort and pounds of litter picked up. Many of us pick up litter when we are out walking. If you tell KACB about your efforts, we (I’m on the board) will tell the world (including the state and national organization, as well as Anderson County government) about the amount of work that volunteers have done on behalf of the community. I’ve logged 27.5 pounds of litter (that was actual weight, but many people estimate) already this spring, just in my own neighborhood. Garlic mustard pull and wildflower walk. See native wildflowers and help eradicate an invasive weed on April 6 on the Wildflower Greenway behind the Rolling Hills Apartments (formerly Garden Apartments). This annual event is sponsored by Greenways Oak Ridge and Tennessee Citizens for Wilderness Planning. Household Hazardous Waste. Saturday, April 13, 2013, from 9 am to 2 pm, the Tennessee Department of Environment and Conservation and Anderson County Solid Waste Management will conduct the county’s once-a-year Household Hazardous Waste Collection Event at the Oak Ridge Public Works Building at (100 Woodbury Lane in Oak Ridge, located behind the K-Mart/Kroger shopping center). This is for waste generated by residents — no commercial or agribusiness waste will be accepted. Wastes they will accept include household cleaners, adhesives, paint removers, herbicides, pesticides, solvents, antifreeze, oil additives, rechargeable batteries, lithium batteries, pool chemicals, an similar items. Don’t bring paint, electronics, empty containers, medical waste, explosives, radioactive materials, or alkaline batteries. (Paint and electronics are accepted year round at Anderson County’s Blockhouse Valley Rd. facility; and alkaline batteries can go in regular trash.) It’s OK to bring household hazardous waste for your friends and relatives who cannot attend. Contact Anderson County Solid Waste at (865) 463-6845 for more information. The Household Hazardous Waste Mobile Collection Service was established by the Solid Waste Management Act of 1991 to remedy improper disposal and to educate the public. This service is paid for by the Solid Waste Management Fund, which receives its revenue from a surcharge of tipping fees from Tennessee landfills and incinerators and from the $1.35 fee on each new tire sold at retail in Tennessee. City Trash and Brush Pickups. Finally, the city of Oak Ridge spring trash pickup starts April 1, 2013, followed by brush pickup starting April 29. (Don’t mix trash with brush.) Details and the trash pickup schedule are on the city website. Trash collection starts in Burnham Woods, followed by Woodland and the city’s southeastern quadrant in the first week, and finishes up in the west end of the city in week number 4. 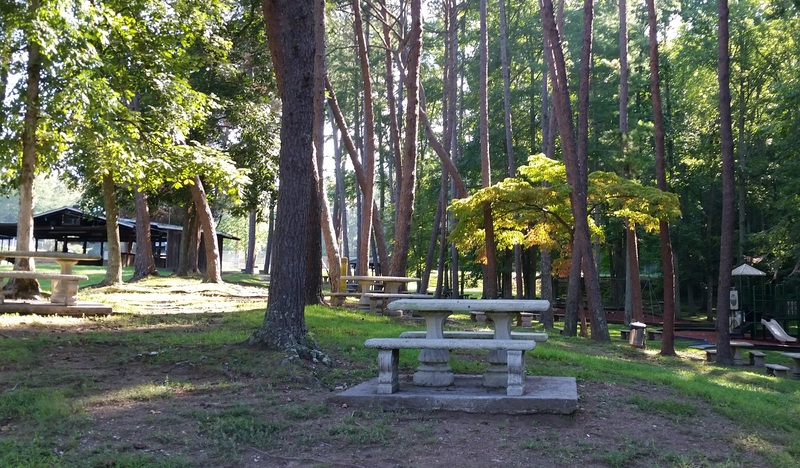 November 30 is the deadline for input in the City’s survey on the design of the planned pavilion at Melton Lake Park. It’s a bit hard to find on the City website, so I’ll provide links to background on the project and possible design concepts, sketches of possible building shapes (see the background paper for some photos), the descriptions of the design concepts and possible features (scroll down to “Waterfront”) as well as links to the other pages, and the survey itself. I like the short list of design concepts that the Recreation and Parks Board has settled on. I know they’ve considered construction cost, maintenance cost, functionality, and aesthetics, and I think they’ve identified some options that do an excellent job of balancing all three of these. Their recommended designs include clerestory roofs that will increase light levels inside the pavilion as well as adding aesthetic value. Public input will help give confidence that the final decision is one that Oak Ridgers will be happy with. UT-Batelle donated funding for construction, which is something I expect most residents will be very happy with. I know where our water comes from, and it is good! I got e-mail suggesting that Americans should find out where their water comes from in honor of World Water Day (today, March 22) and to help us watch out for our families’ health. It seems that many people don’t know. I do know where our water comes from — the Clinch River. The intake is on Melton Hill Lake, about a mile downstream from the Solway Bridge, and the treatment plant is on top of Pine Ridge near Y-12. The US EPA requires drinking water suppliers to report annually on the sources and quality of their water — some people find it odd that the city mails its annual water quality report to residents each year, but it’s because of the federal requirement, which is supposed to give consumers confidence in their water. Oak Ridge enjoys good quality water, but maintaining that quality does depend on good decisions (on watershed land use, for example) and sensible behavior by our city and our upstream neighbors, as well as a continuing public investment in things like treatment facilities and delivery systems.